Toyota are the world’s biggest manufacturer of petrol-electric hybrid cars – indeed, around 80% of those in existence came from their factories. While innovative, the technology is also highly durable, particularly thanks to the free health check available to all owners of our hybrid cars. 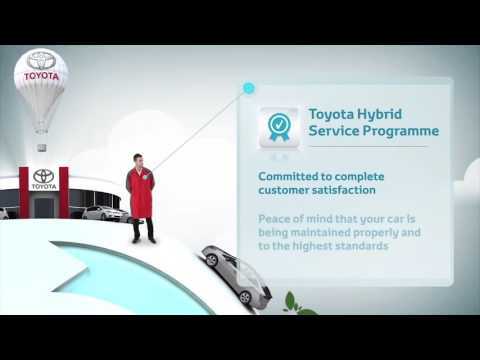 The Hybrid Health Check comes as part of your annual Hybrid Service at our dealers. Even if it is a while until your next service, you can have your hybrid vehicle thoroughly inspected for just £39. As well as additional peace of mind, your health check extends the warranty on your car's hybrid battery by one year, or until the mileage increases by 10,000. This cover can be renewed until ten years after the vehicle's registration date, regardless of mileage. Plus you’ll have the peace of mind that comes with a professional inspection by our qualified Toyota technicians.